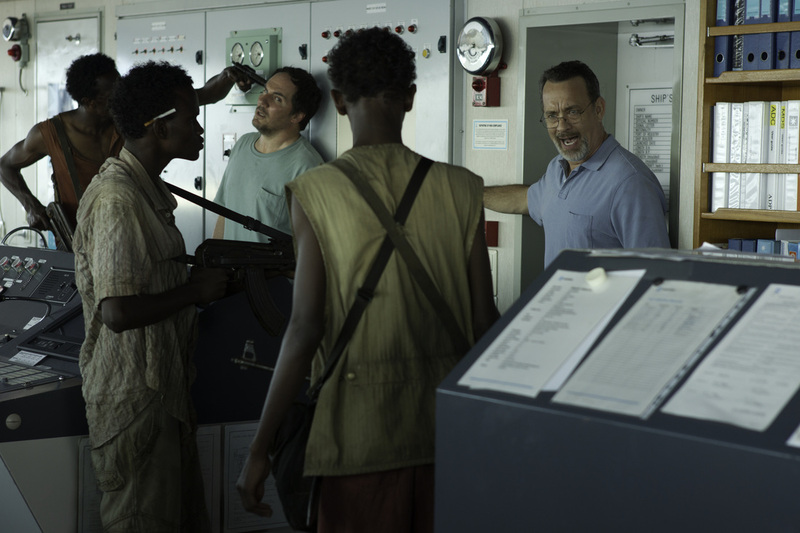 This article is a review of CAPTAIN PHILLIPS. Underhill, Vermont, the United States. March 28th 2009. Phillips is getting ready to leave his home. On the way to the airport with his wife, Andrea (Catherine Keener – the only time we see her. One wonders if a bigger part was written for Keener, but will now be a DVD extra? ), they discuss the toughness of the business world. There is the acknowledgement of a merciless economic climate. Cut to Ell, Somalia. Muse (Barkhad Abdi) awakens. His village denizens are forced by armed gunmen to put together a team to hijack a ship. They complain about already having carried out one recently, which falls on deaf ears. The boss pulling the strings is unseen. Muse is regarded as one of the brains, and given command. Salalah Port, Oman. A spectacular sight. Think the opening shot of Spielberg’s WAR OF THE WORLDS introducing Tom Cruise. Phillips is prepping his massive container vessel. He has an unfamiliar crew to get shipshape. The camera follows Hanks as if a benign fly-on-the-wall television episode is unfolding. Director Paul Greengrass has tweaked his style formidably. Gone are the jittery lens movements and fast editing that has typified much of his work. In its stead is a handheld energy coupled with grandiose storytelling. 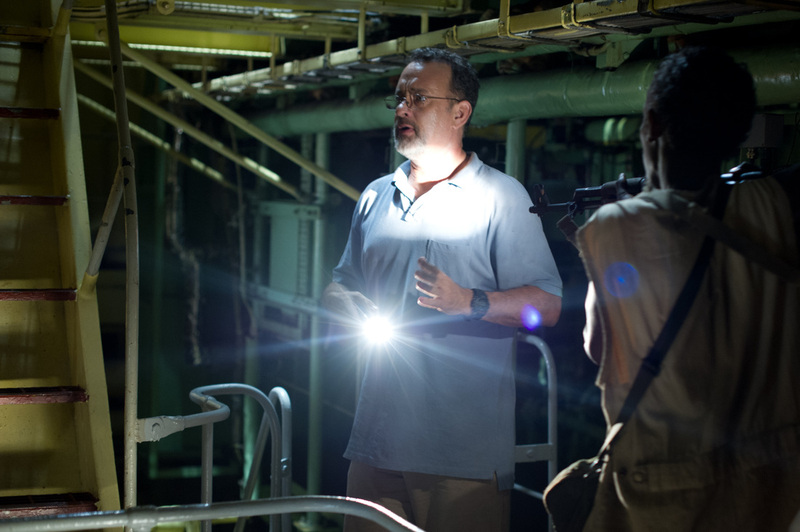 The style can be compared to Kathryn Bigelow’s in ZERO DARK THIRTY. 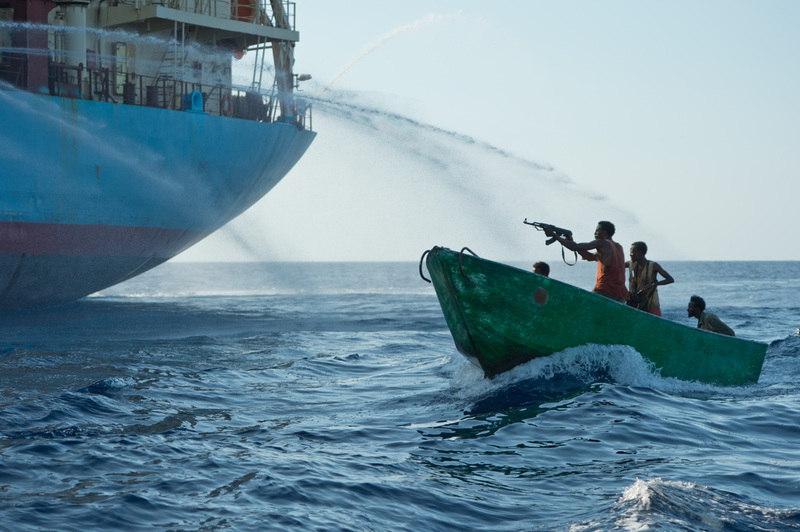 The ship Maersk Alabama is travelling to Mombassa, through the Somali Basin – a notorious pirate ground. 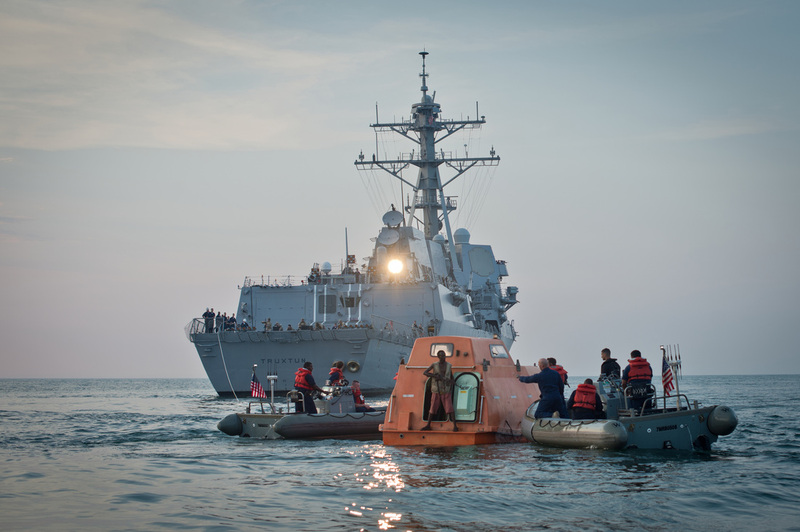 Greengrass and his team have steered away from jingoism territory – there is implied criticism, at not only allowing these relatively vulnerable juggernauts of the ocean to travel in harm’s way, but to have them unmanned by a security detail. Greengrass might be viewed as an anti-authoritarian filmmaker, though what he does is shine a light on corruption and human fallibility, hinting at explanations for failings. Tom Hanks brings his leading man A-game. He may have once been the face of everyman middle America, but Hanks has challenged himself, attaching to work of real merit recently – CHARLIE WILSON’S WAR and CLOUD ATLAS. His Richard Phillips is brave, resourceful and thorough. And when the sparks begin to fly, there is an exciting face-off with the intelligent and focused Muse. Abdi is a real find. His eyes demonstrate a man who is constantly calculating. This is not BLACK HAWK DOWN. The African adversaries are given a face and a voice. Two fast moving skiffs are spotted on the radar. A wide vista shot in advance tells how vast and isolated their shipping lane is. It is as if two nimble, deadly sharks are hunting down a whale. The action is varied and if you are unaware of the story, the unfolding of the kidnap narrative is not obvious.